Popping in to share an easy Father's Day card today! I cut a cardstock card base as well as a "wrap" of Dapper paper. 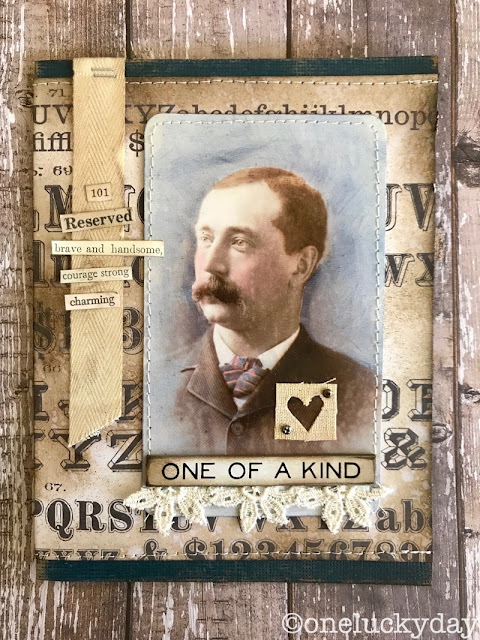 I stitched the two together then added the colored Found Relative card which is absolutely perfect for this card! You can see how I tinted the photo below. 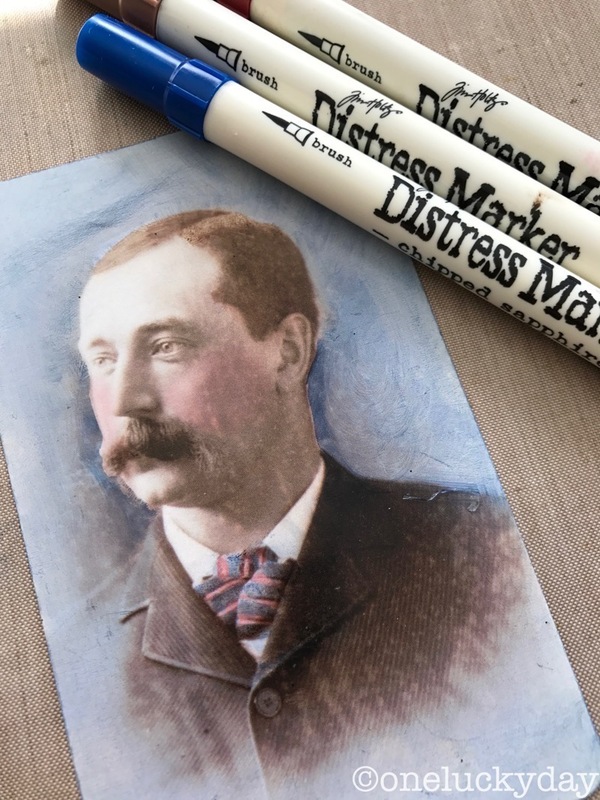 Tint Found Relative photo with Distress Markers by coloring with the brush end of the marker then rub away the excess ink with a paper towel or soft cloth. The ink will look really dark when you color but it wipes away so a beautiful wash. 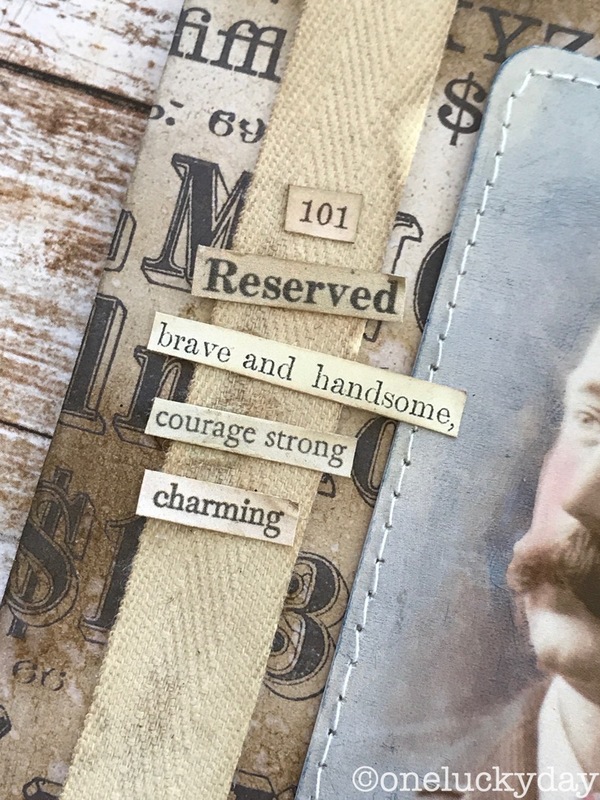 Some May Arts twill tape was used to add a list of good qualities. All the words are from the Clippings Sticker sheet. 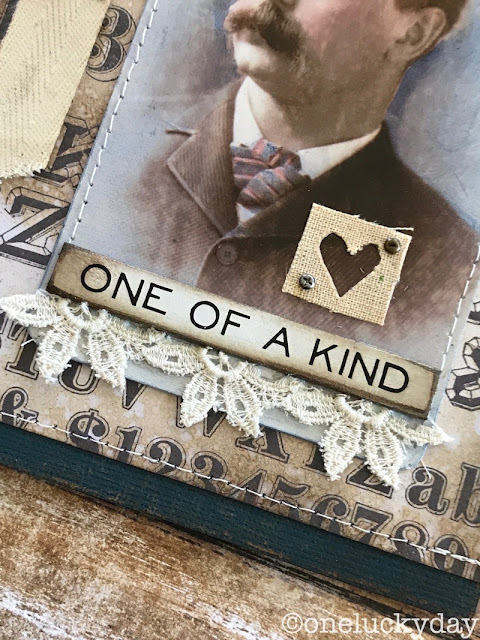 And the perfect Quote Chip was used along with some old lace that I cut up to get just the right part. One box of Quote Chips has 58 short quote with three different fonts. Something for every occasion! I am off to Texas this week for classes at the Crafty Scrapper. Looking forward to seeing my sister and all the Texas ladies!